This innovative product well embodies two of the most important issues of our time: water and energy saving. The aim was integrating two functions in one object, by using the product of the first function (i.e. the collected water) to perform the second function. 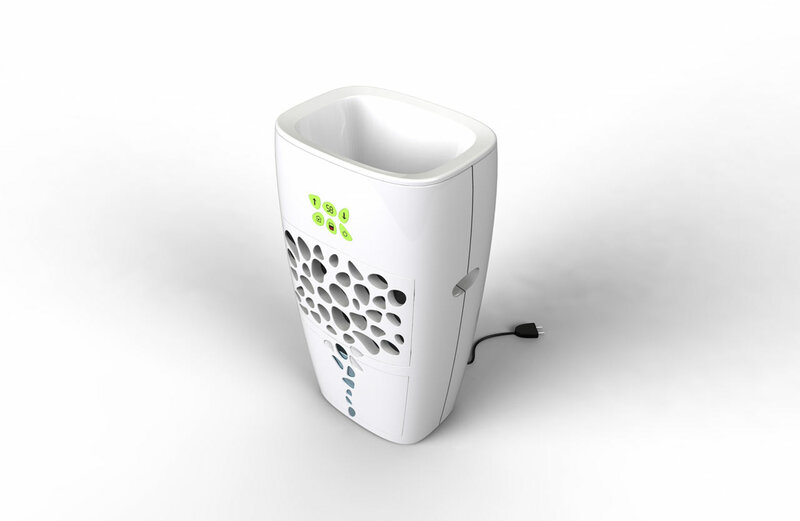 The dehumidifier is a device whose energy waste is less than that of a conditioner. Furthermore, by lowering air humidity, the temperature decreases as well, and this produces a sensation of well being. 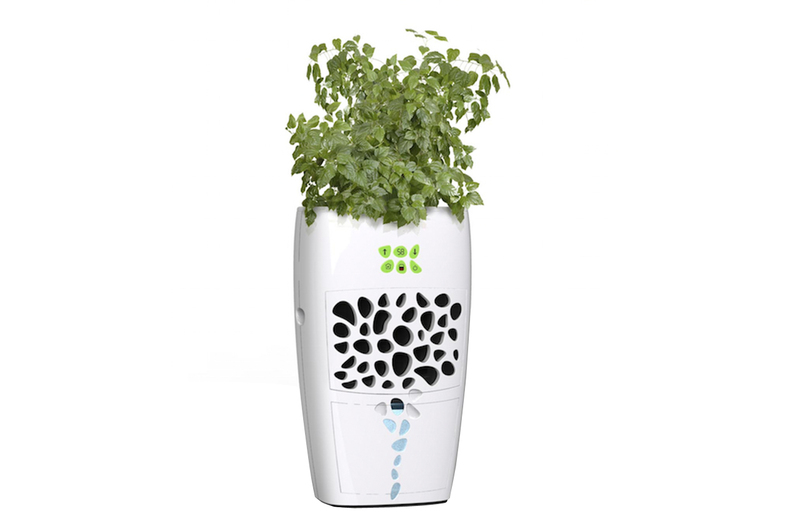 The first function, the dehumidification process, condenses water out of the air and stores it in a container. The second function, embodied in the green plant, makes use of this water to live. 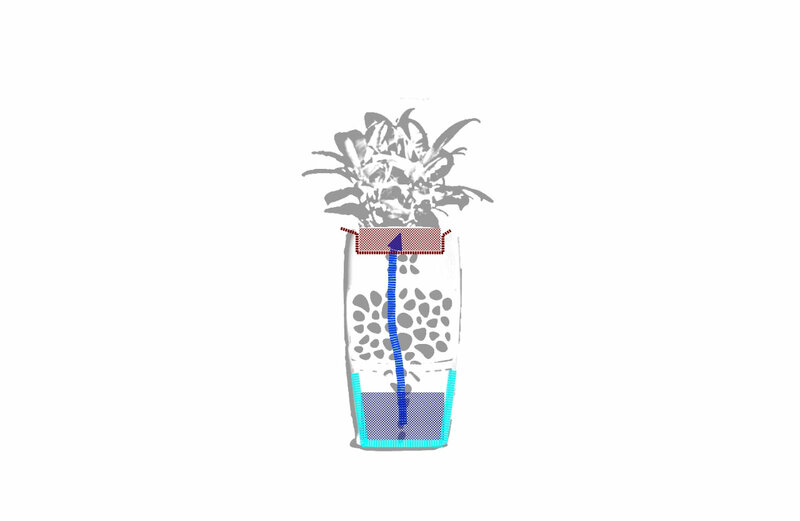 Water is picked up and used by the plant, placed above the dehumidifying device: a rubber pipe with absorbent material can be placed inside, as a connection between the water-tank and the top vase. The mix of these concepts gives life to an object, which finds its place among home furnishing as a vase characterized by a strong identity. With just one operation, both human and vegetal lives are made better.